A car is found on a deserted beach on the Spanish island of Fuerteventura. On the back seat lies a cardboard box containing the body of a small boy buried in newspaper cuttings. No one knows his name, and there is no trace of a driver. The last thing an ailing tourist resort needs is a murder, and the police are desperate to close the case. The island is rife with rumours about the reclusive Erhard. Two decades of self-imposed exile from his wife and children have left him alienated and alone, whiling away his days in a drunken haze, driving an old taxi to get by. This unlikeliest of detectives determines to solve the crime himself - and he has nothing to lose. But how can one old man, cut off from the modern world, solve a murder whose dangerous web of deceit stretches far beyond the small island? And what if the killer forces Erhard to confront his own long-buried past? Thomas Rydahl has translated Malcolm Gladwell s "Blink" and "Outliers" into Danish. 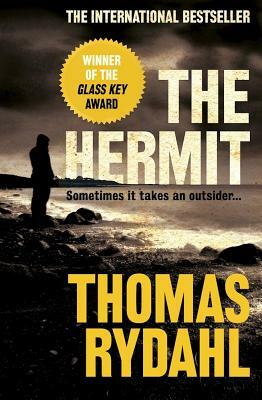 "The Hermit" is his first novel. He lives in Fredensborg, Denmark. K.E. Semmel is a writer and translator who has received numerous grants from the Danish Arts Foundation for his work. A 2016 NEA Literary Translation Fellow, he lives in Milwaukee, WI."